Wet weather apprehended my plans for a short New Year’s Day walk and the following day wasn’t much better. Sunday morning began with an overdose and rain and gloom. By lunchtime and, as forecast; the clouds maintained their own moisture and I decided to take a chance, carrying my waterproofs with me just in case. 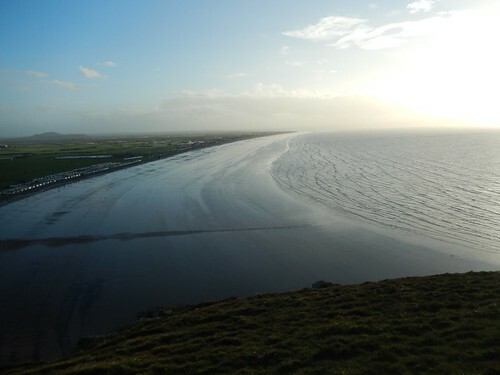 This was my first visit to Brean Down in Somerset since July last year. I could remember going to Sand Point on Boxing Day of 2014. 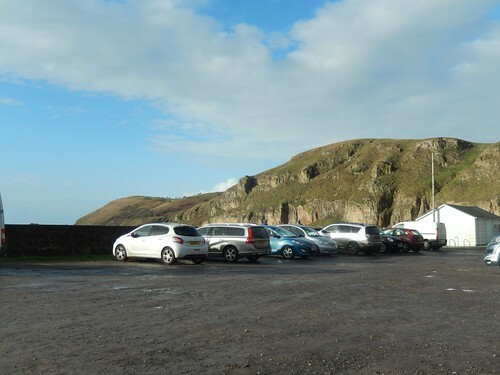 It was nice to be able to visit the next peninsula south from that one and my National Trust membership always ensures free parking there. It’s a generously-sized car park. Having only visited a handful of times in recent years, I’ve yet to see it full, even in the summer. Neither had I expected to see it close to half-capacity, following the downpour that was Sunday morning. I guess we all shared a similar idea and intention! 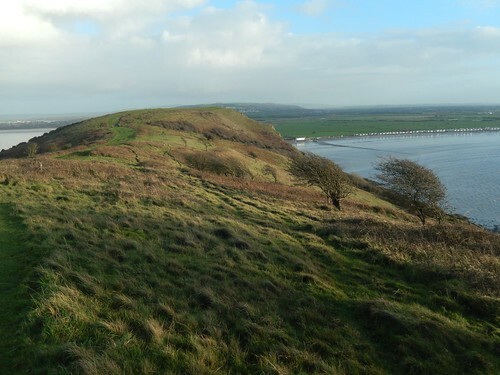 I passed on the option of climbing the ever-popular stone steps up to the top and instead walked a little further east, to begin climbing a slope that may signal the ‘end’ of a walk for the majority of others (certainly, for those following the National Trust’s guided walk). 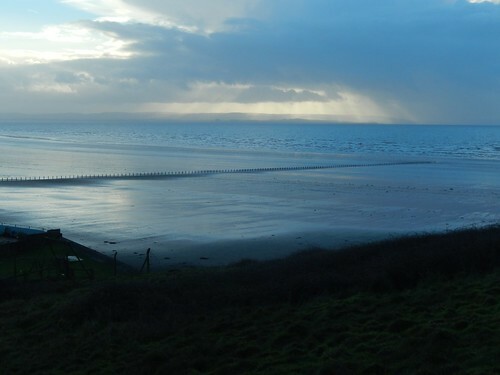 As many coastal walkers have discovered; there’s official coastline sticking close to the tides between Uphill and Brean or Berrow. 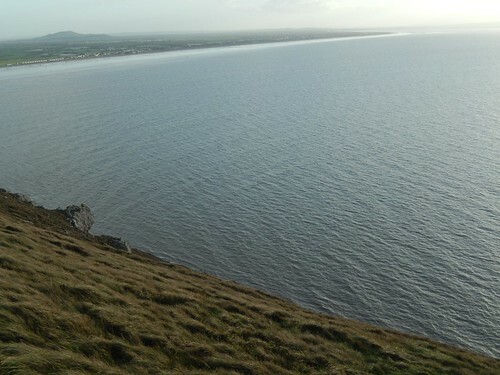 So many people (excluding those who trespass…) are led inland and ultimately end up bypassing Brean Down altogether. 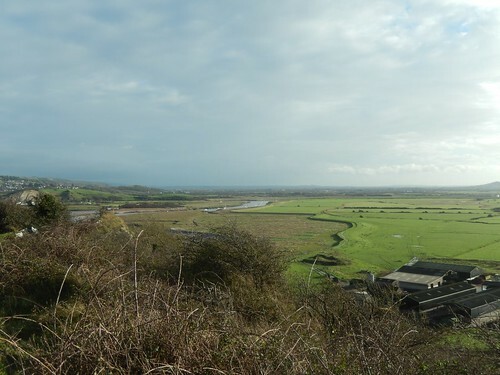 I couldn’t help but to look north along the muddy banks of the coast, wondering where our future coastal path will be – I’m sure I heard very recently that the completion of the UK Coast Path will be completed by 2020? I’m all for that. 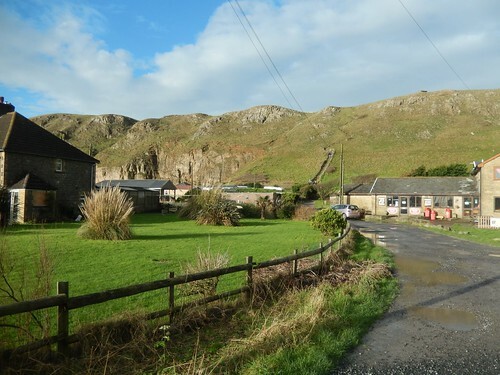 I just can’t imagine how it will happen as we, the walkers, would prefer it with landowners (like those in Brean) already saying no to the potential allowance of public access across their land. Is walking up the drive easier than climbing those steps? I would never class it as ‘easy’ but I do find it less stressful on the knees. If you’re looking for a space to huff and puff away from other people then it’s definitely the way to go. Saying that, I find descending those steps to be as arduous as climbing up them. 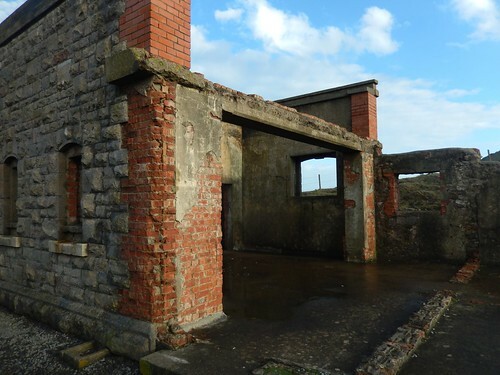 Back in July, I passed by this same ruin (walking in the opposite direction) with a friend. 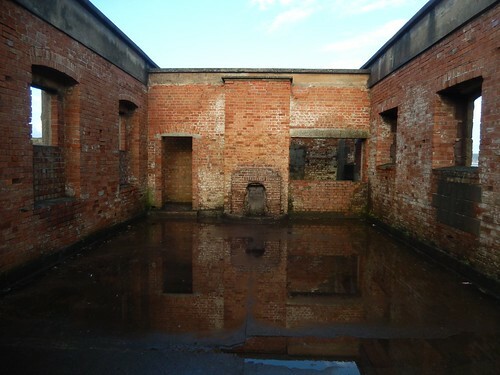 With some force, the door had been removed and anyone could wander inside – unlike on every previous visit, where the door was securely hung and bolted. At least action has since been taken to physically deny entry to a structure who’s roof is clearly in a fragile state (props have been in place for several years now). I did notice a new-looking timber frame inside that may suggest repair or conservation work may be ongoing. 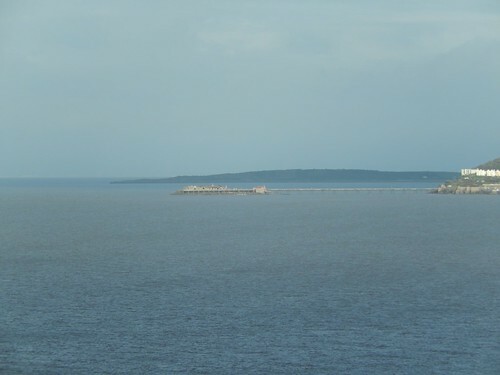 Further north and, with the silhouette of Sand Point in the distance, I could recognise the form of Birnbeck Pier – which, only days earlier, suffered a partial collapse amidst wild recent weather. From where I was standing, it appeared to be okay (or, as much as it has been since it closed). 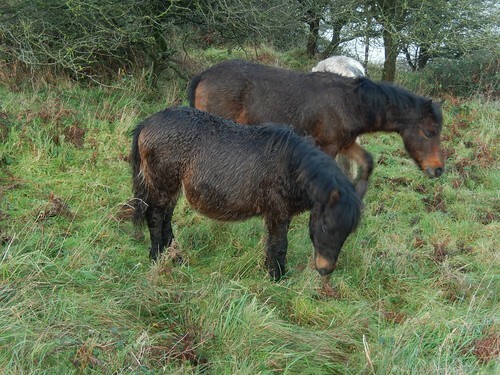 Then, I came across horses! 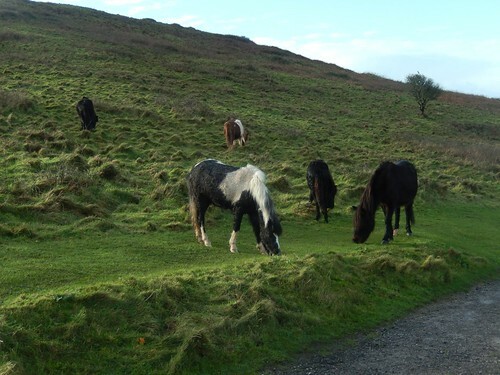 I’d never previously seen horses up here before. Goats, sheep and cows, yes. This was a welcome addition. Perhaps it was to keep the vegetation under control. They were mostly quite frail and almost scrawny, by appearance. Certainly, compared to other horses that I’ve seen elsewhere. Or, was it simply because they had wet hair? 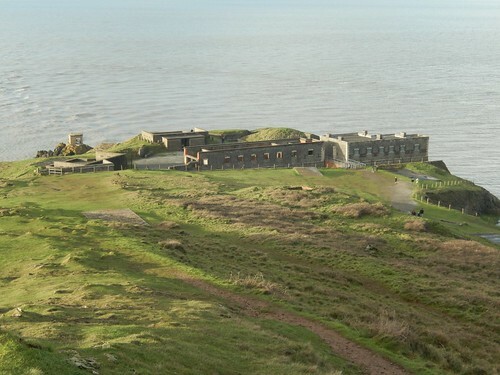 Continuing on my westward way, the war-torn structures that still reside upon Brean Down emerged in my sights. 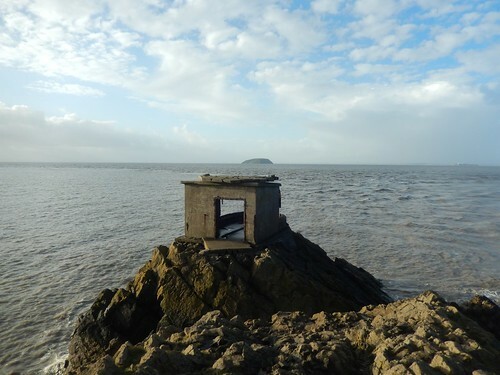 Beyond, you can see Flat Holm Island with its lighthouse. 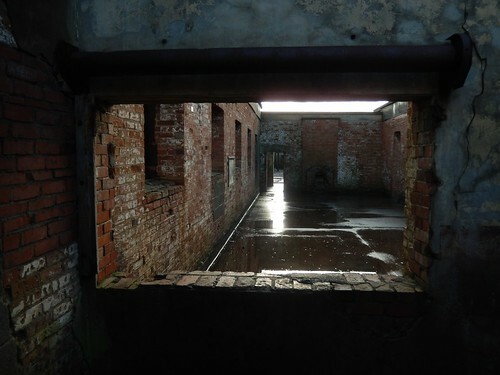 All of the accessible buildings still stand tall and secure enough for people to pass by… They’re just lacking in the ‘weatherproofing’ shelter that usually accompanies the construction of almost any building, past or present. 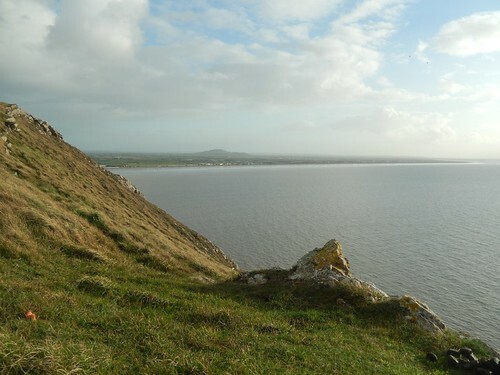 This appears to be the first post I have ever written about Brean Down on my blog, which is a surprise, considering how much I enjoy visiting it. I know I didn’t take many photos on my previous visit last July and, before that, I’ve made other ‘social’ visits where I’d be less inclined to keep whipping out my camera. I walked the stairs down in to one of those buildings during the summer of 2013. It was very dark, you absolutely need a torch and it was refreshingly chilled on such a hot day but you could also graffiti scribed all over the walls. Some dating back decades – if not, perhaps, a century or more. There’s also the suggestion that the site is haunted but I won’t go in to that. There’s a lot of history to be read about and discovered on a visit here. Too much of which I often forget. 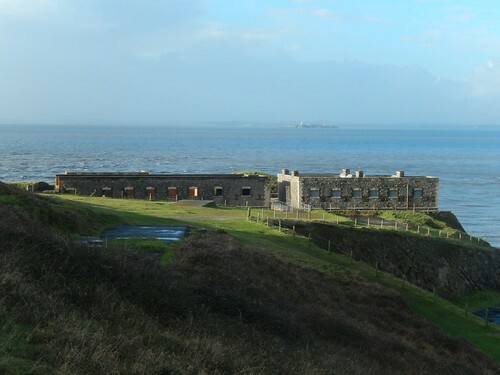 Having read and seen it all before, I mostly came here for the views, a chance to stretch my legs and for that refreshing coastal breeze, ahead of the dreaded return to work. It was quite a glorious afternoon. 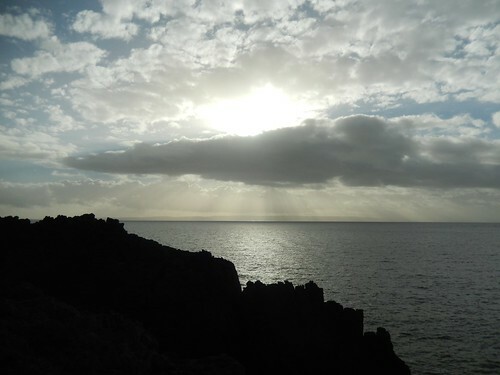 I really hadn’t expected so much from the weather and even my anticipations of strong winds from the sea was incorrect. You could feel it in some lower parts towards the western end of the peninsula but otherwise, it only really felt cold in the shade of the north. 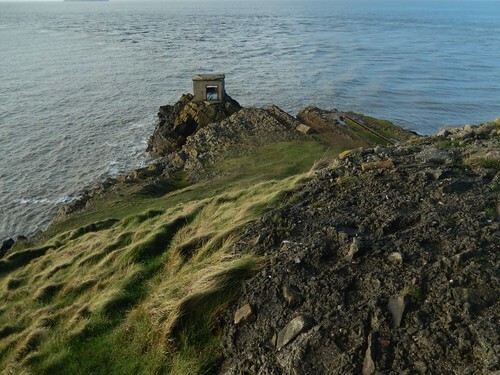 From here, I was making my way back uphill towards the highest point (there is a trig point) before a descent of those steps. It wasn’t such a bad day for a picnic, after all. Ascending the slope of sludge (following recent heavy rain) was about as challenging as it must’ve been to slide down it, forcing me to leave the worn path and climb up through thicker grass, a little closer to the cliff edge that I’d have liked. 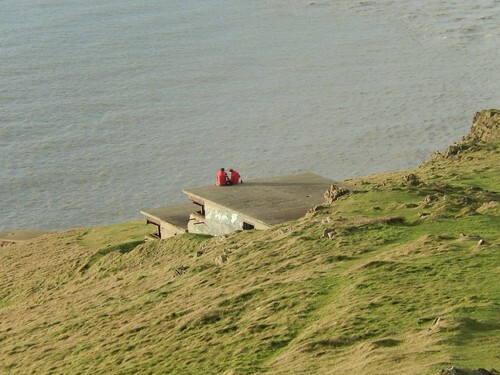 Looking down over the sea, as the wind tore over the surface. Continuing my walk along the headland, I passed a succession of late-comers, also hoping to take advantage of the precious, dry daylight. Down at the bay, I could see a number of small yachts taking to the shallow water. 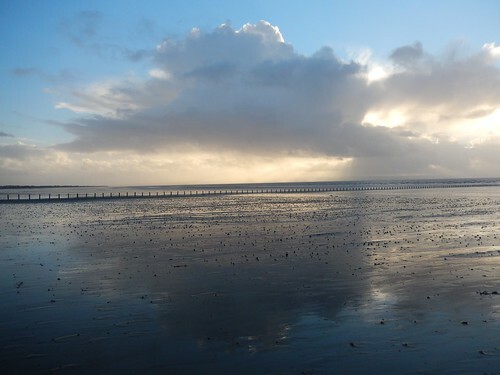 You’re used to seeing my perspective from the other end, at Burnham-on-Sea. 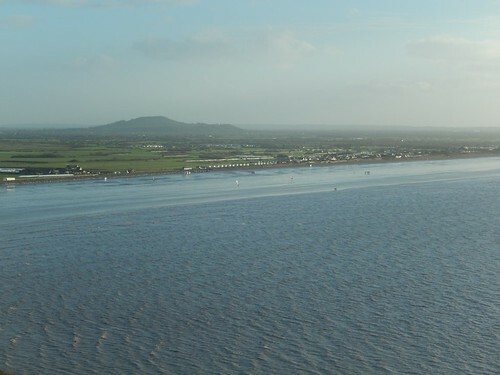 Brean lies a good seven-miles to the north. 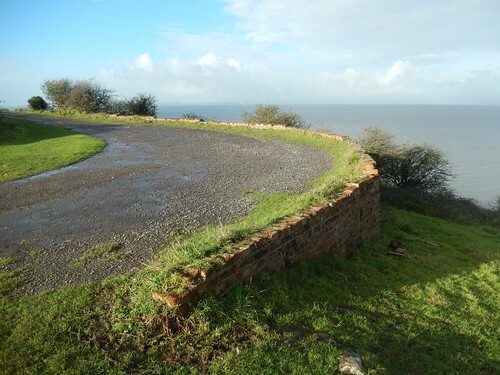 Such an unobstructed coastal right of way is a definite rarity in Somerset. Beginning my descent of the steps, I realised I’d soon have to give way to another flurry of walkers on their way up before the rain falls again. Two of these people were guys I later recognised on Instagram. A little later on and I would pass two further people, who would later make an appearance on the same site. Usually, I’d head straight for the car from here (after being reminded that the toilet doors are locked). 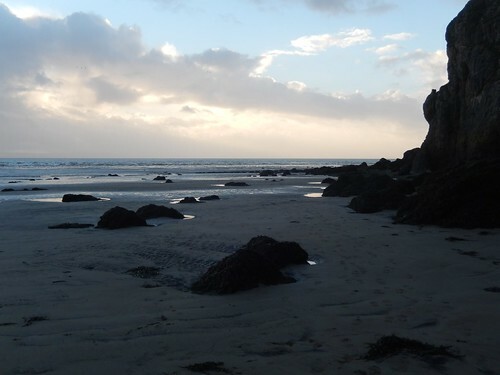 But without a child in sight or sound, it would’ve been hard to resist heading down to the beach for a short while. 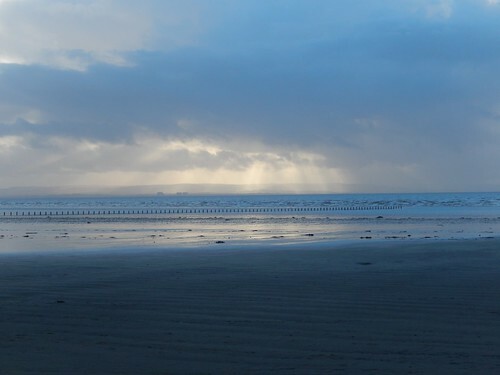 This was also the first occasion on which I’d officially set foot on the beach at Brean. 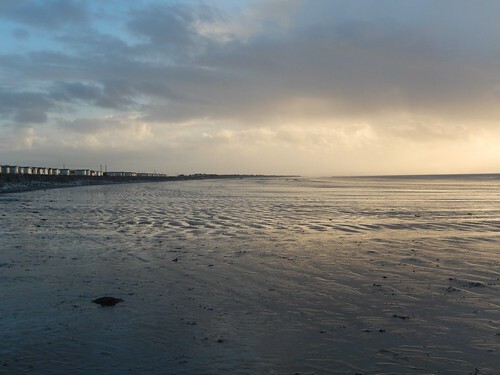 Amidst the winter sun, it felt almost unspoilt. 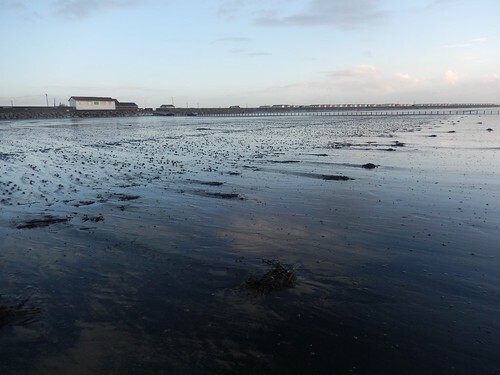 I can’t imagine the next beach to the north (Weston-super-Mare) ever really looking or feeling like this. Learning to maximise my compact digital camera (Nikon S9400) is something I’ve never accomplished and yet, I’m overjoyed with the way in which some of these unedited, filter-free photos have turned out. My first official walk of 2015 and it’s one to remember. Another to revisit during a later point in the year. If you’d like to see my complete set of photos, please click here. Thank you, Ruth. I think I know what my budget will be but how did you decide on what to buy? Most people seem to recommend Canon and Nikon. Beautiful photos, especially those last few in dusk/sunset. 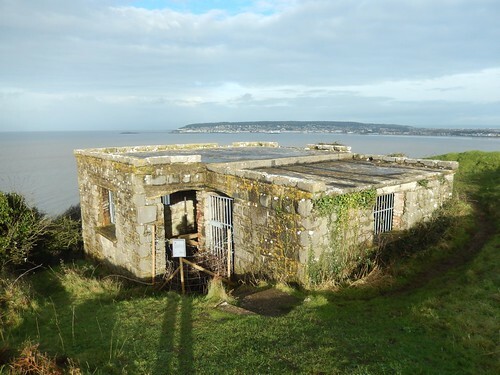 I enjoyed my visit to Brean down a few years back and was very pleased to find open access to those interesting buildings at the end. It is a varied place, I’ve always found it interesting how you get those few steep hills in an otherwise totally flat landscape. 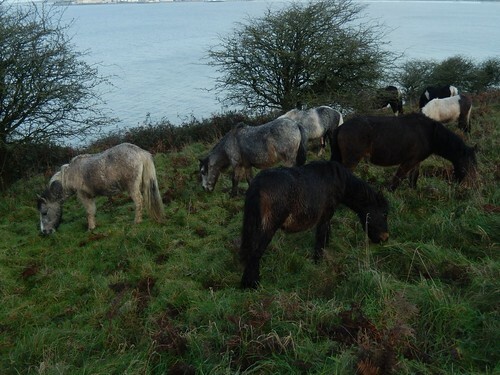 Regarding the England Coast path it is disappointing news to hear the landowners here are being difficult. 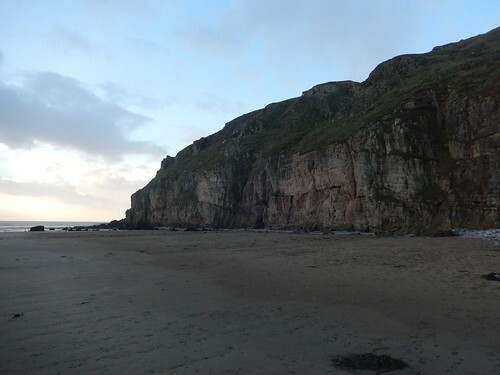 Until I reached the start of the West Somerset coast path, walking much of the coast of Somerset is a rather frustrating experience, due to the amount of inland walking, lack of footpaths along the coast and road walking. I hope it can be improved (and yes, you do have to walk into Bridgwater). As to cameras, I too mostly use an SLR camera for the photos on my walks. You will likely notice an improvement in image quality. 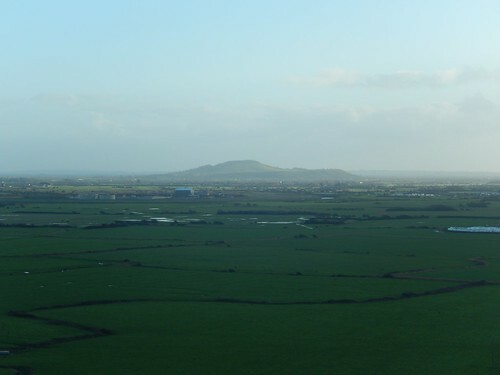 This is mainly driven by the larger sensors, which means you get higher dynamic range (the camera can capture a larger range of light before dark comes out as black and light comes out as white), better light sensitivity, less noise (particularly at higher ISO sensitivity) and a choice of lenses. In my experience they tend to be more robust than compact cameras too (I tend to find the moving zoom lens on compact cameras wears out). I used to use a Canon EOS400d, which I have for years and years and took over 100,000 photos. It survived a fair few accidents when outside, but finally gave up when I fell over in the sea with it around my neck (oops). I now use an Olympus PEN micro 4/3 camera, and a Canon EOS 6d. The downside of an SLR camera is size (they are much more bulky), cost (not just of the camera but also of the lenses you need to buy) and weight. Compact System cameras tend to be “in betwee” a compact and an SLR camera. That is, they offer different lenses and better quality than compact cameras, but tend to be slightly worse quality than a full SLR (again, because the sensor is a little smaller than on an SLR). For SLR camera, Canon and Nikon cameras tend to get the best reviews (I’ve only ever owned Canon ones), though Pentax ones are also worth considering in my opinion. For compact system cameras, Panasonic and Olympus seem to get the best reviews. Thank you for all of this, Jon. Are ‘compact system’ cameras the same as what Americans seem to refer to as ‘mirrorless’ cameras? I watched a video recently where the presenter (in the US) suggested that ‘mirrorless’ cameras are better than SLRs for hiking due to the reduced weight. Yes mirrorless is another term for them. You were right about compact cameras, by the way – the lens on mine is playing up, so that the shutter doesn’t close properly on the top half and remains closed permanently on the bottom half! It’s annoying, seeing as I had this camera repaired (about £90) after I broke it a year ago. I don’t know if I can be bothered to go through that again and I don’t like having almost half of my images obscured by the lower shutter. I’m definitely thinking compact system/mirrorless on the weight issue and it might be time to upgrade now… Sooner than I’d intended. Meant to add (I can’t seem to edit my comment), I have bought 2 cameras from http://www.slrhut.co.uk (including my current Canon EOS6d), they tend to be far and away the cheapest supplier. They are I think a “grey importer” in that although they try to look as if they are UK, they are actually based in the US (New York) and generally ship cameras from there (because the retail prices are much lower in the US). They claim that they include VAT and all import duties (I am not sure if that is strictly the case, but I have got both cameras without having to pay anything else). The only downside is that they like you to call them first (it is a UK number) after placing an order (nominally to “confirm” the order, in practice to try to sell you batters, memory cards etc too, so just decline all that they offer you) and the charger will likely not have a UK 3 pin plug, but they include an adaptor (or at least did for me), so it doesn’t really matter. Also not sure if there might be warranty issues (I have not had to claim). I decided it was worth taking a chance because the price is so much lower – but be sure to pay on credit card if you use them to ensure you are protected. Some stunning visuals Olly. Looks like a great day. 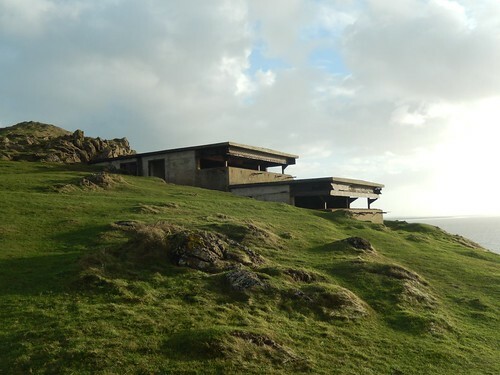 Would very much like to have a wander through those old buildings. Thanks for your comment. Yes, I imagine it is quite likely you could have seen it. … when it was not pouring with rain.